You can pick any random adult or a child from a huge crowd. If you question them, you will get a positive answer from at least 80% that they have had chickenpox. However, the number of people suffering from chickenpox is decreasing significantly, all thanks to the chickenpox vaccine, which is known as the varicella vaccine. Chickenpox is caused as a result of the deadly virus varicella, which is responsible for creating tiny red bumps on the body that are extremely itchy. A person suffering from chickenpox will have a fever and a mild throat infection and become extremely weak. However, with the invention of the varicella vaccine, the rate of chickenpox in both the adults as well as the children has reduced. The varicella vaccine or the chickenpox vaccine is nothing but a shot, which is capable of protecting everyone who has received the vaccine, from getting infected with the varicella virus. This vaccine is made of a live but attenuated and weakened virus, which helps in fighting the varicella virus. The virus that has been attenuated is not as virulent as compared to the virus that is not. It is true that the virus that is present in the chickenpox vaccine cannot cause a disease, but it might stimulate a particular response from the immune system of the body of the person who has received the vaccine. Why is the chickenpox vaccine required? It has been observed that in most patients chickenpox is mild and it runs the course for around 10 to 15 days. However, for a certain section of people, chickenpox can take a very serious and life-threatening turn. Before the licensing of the chickenpox vaccine, almost a hundred people died and 11 thousand people were hospitalized due to chickenpox. The life-threatening complications are the greatest among the children who are below 5 years old, the infants, the elderly people, and those people who have a weak immune system. However, anyone can be susceptible to these complications, and it is impossible to predict as to who can be harmed. Most people keep asking the same question over and over again as to how many shots of the vaccine are required. The vaccine is normally given in two doses. In case of a child, the first shot should be given when he is between the age of 12 or 18 months, and the second shot has to be taken at the age of 4 or 6 years. The other older children, as well as the adults, should also get two shots with a difference of 8 weeks between the two shots. If a person starts seeing the itchy blisters appearing on the body, he should immediately visit the doctor to understand if it is chickenpox. The doctor will suggest an ELISA test, which is mandatory to understand if the varicella virus has entered your bloodstream. To get detailed information about the procedure, you can visit https://www.mybiosource.com/. This website has detailed information about the kind of test and the laboratory reagents that are used. 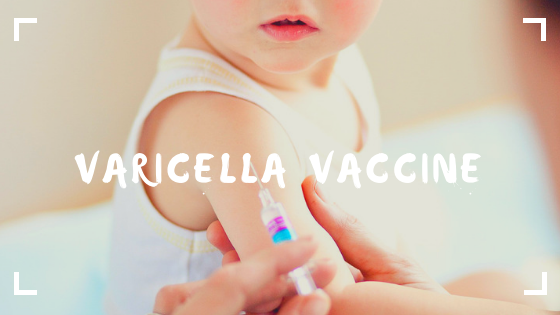 It is extremely important to keep yourself protected from the varicella virus and for this, it is crucial that you take the chickenpox vaccine or the varicella vaccine. Once you have taken this vaccine, you can be assured that you are safe from the clutches of chickenpox.